The Only Parentral Synergistic Combination For Early POST-OPERATIVE Care. The Only Parentral Synergistic Combination For Hemorrhoids. Surgery, trauma and infections promote edema. They trigger Neutrophil-endothelial interaction which induces the synthesis of many inflammatory mediators, e.g., IL-1; PGE-2; TNF-α. Inflammation causes pain, vasodilatation, increased capillary permeability and fluid exudation to the interstitial spaces. Inflammation also activates the coagulation cascade increasing the intravascular thrombosis. Venous thrombosis causes capillary hypertension that aggravates edema. Portal hypertension is a clinical syndrome that is difficult to study in an isolated manner, since it is always associated with a greater or lesser degree of liver functional impairment. The aim of this review is to integrate the complications related to chronic liver disease by using both, the array of mast cell functions and mediators, since they possibly are involved in the pathophysiological mechanisms of these complications. The portal vein ligated rat is the experimental model most widely used to study this syndrome and it has been considered that a systemic inflammatory response is produced. This response is mediated among other inflammatory cells by mast cells and it evolves in three linked pathological functional systems. The nervous functional system presents ischemia-reperfusion and edema (oxidative stress), and is responsible for hyperdynamic circulation; the immune functional system causes tissue infiltration by inflammatory cells, particularly mast cells and bacteria (enzymatic stress), the endocrine functional system presents endothelial proliferation (antioxidative and antienzymatic stress) and angiogenesis. Mast cells could develop a key role in the expression of these three phenotypes, because their mediators have the ability to produce all the aforementioned alterations both at the splanchnic level (portal hypertensive enteropathy, mesenteric adenitis, liver steatosis) and the systemic level (portal hypertensive encephalopathy). This hypothetical splanchnic and systemic inflammatory response would be aggravated during the progression of the chronic liver disease, since the antioxidant ability of the body decreases. Thus, a critical state is produced, in which the appearance of noxious factors would favor the development of a dedifferentiation process protagonized by the nervous functional system. This system rapidly induces an ischemia-reperfusion phenotype with hydration and salinization of the body (Hepato-Renal syndrome, ascites) which, in turn would reduce the metabolic needs of the body and facilitate its temporary survival. 3 ml of solution for injection containing 150mg Troxerutin and 1.5mg Carbazochrome. Properties: Troxerutin ( 3-hydroxyethyl –rutoside), also known as vitamin P4, is a bioflavonoid that acts by increasing vasal resistance (capillary protective action) and diminishing permeability , thus preventing the excessive leakage of the liquid component of blood to tissues (anti- permeabilising and anti- edemigenic action) . Carbazochrome (adenochromosemicarbazone), an orthoquinone derived from adrenalin through oxidation and lateral chain cycling, is totally devoid of sympathomimetic action, owing to the absence of the secondary amine function and the ortho-diphenolic grouping, and it shortens the haemorrhage time through a local vasoconstrictive action on small vessels in the bleeding area. Symptomatic venous insufficiency; states of capillary fragility in post – hemorrhoidectomy patients. 1-3 ampoules a day by intramuscular injection. The content of the ampoules must not be mixed with solutions containing ascorbic acid. Contraindications: Hypersensitivity to the active substances or to any of the excipients. Special warnings and precautions for use: None. Interactions with other medicinal products and other forms of interaction: None reported. Pregnancy and lactation: For Fleboton® no clinical data on exposed pregnancies are available. Animal studies do not indicate direct or indirect harmful effects with respect to pregnancy, embryonal/foetal development, parturition or postnatal development. Caution should be exercised when prescribing to pregnant women. Effects on ability to drive and use machines: Fleboton® has no influence on the ability to drive and use machines. Undesirable effects: Some cases of local and generalised erythema have been reported in patients receiving Fleboton® solution for injection via the intradermic or subcutaneous route (mesotherapy). The use of Fleboton® solution for injection in mesotherapy is not approved since there are no controlled clinical studies showing the efficacy and safety of these methods of administration. Overdose: No case of overdose has been reported. 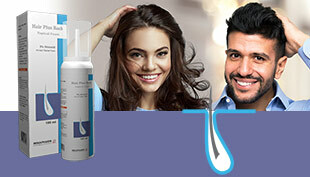 Incompatibilities: Fleboton®solution for injection should not be mixed with ascorbic acid. Can Fleboton be used TOPICALLY? YES, but as all flavonoids, it can lead to some hyperemia, because flavonoids are irritant. Can Fleboton be used with patients suffering from Liver or Kidney impairment , Hepatitis C OR Diabetes ? Can Fleboton be used with patients with DVT ? Can we give Fleboton IM in the arm or we must give it in the buttock ? There is problem with patient compliance as twice daily, can it be administered differently for more convenience. No problem, There is dose FLEXIBILITY for Fleboton i.e: It can be given as 2 ampoules once daily Fleboton dose can be taken ONCE daily up to 3 ampoules daily, according to severity and doctor's recommendations. Is Fleboton used in Esophageal Varices ? Is Fleboton used in Varicocele ? Is Fleboton used post mastectomy ? 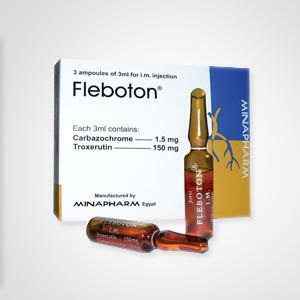 YES, Fleboton can be used post ANY operation as it decreases trauma and inflammation.